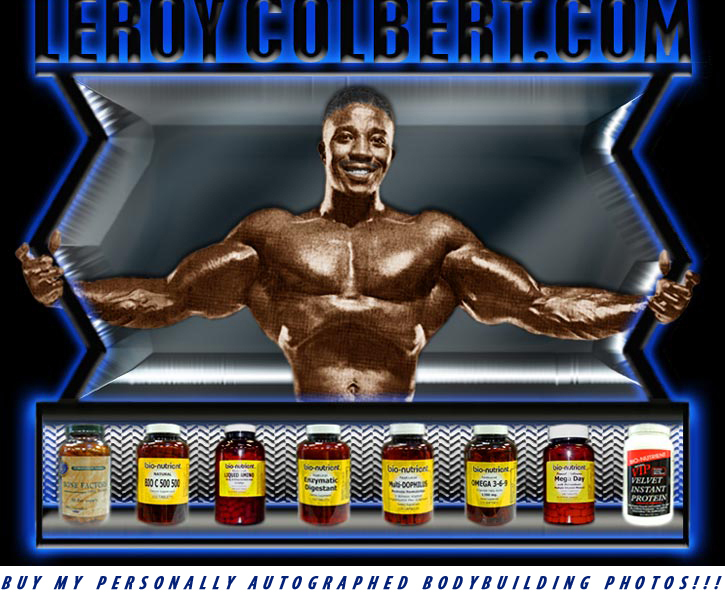 Welcome to Leroy Colbert.com - First man to build 21" biceps DRUG FREE! "First man to build 21" biceps drug free!" 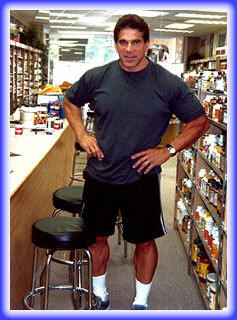 BUY MY PERSONALLY AUTOGRAPHED BODYBUILDING PHOTOS!!! Two pictures, two very different times. 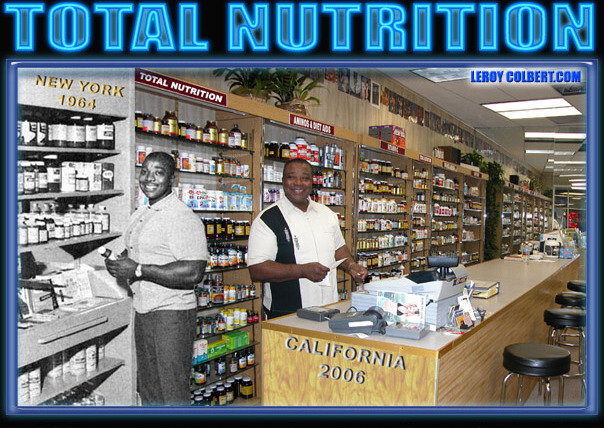 On the left, in 1964 young Leroy Colbert in his New York City health store 43 years ago and now today 2006 in Sherman Oaks, California, still doing my very best to inform and serve my health-minded customers from the bodybuilder to the senior citizen. I am bursting with years of experience and nutritional knowledge, eager to dispense it. Leaning on the shelf at the store is who else, Leroy Colbert, frequently called Windy by my friends because I always have an opinion, which I have no problem articulating, all in fun! 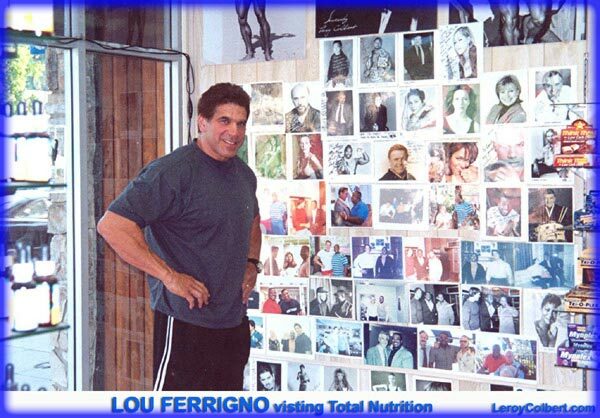 The great Lou Ferrigno, a frequent visitor to the store and my bodybuilding buddy for over 30 years standing next to our celebrity wall of photos and just standing in the aisle using all the width.